Add some Cars style to your desk or office! Fun and detailed stapler featuring Lightning McQueen! Be the envy of your workplace! 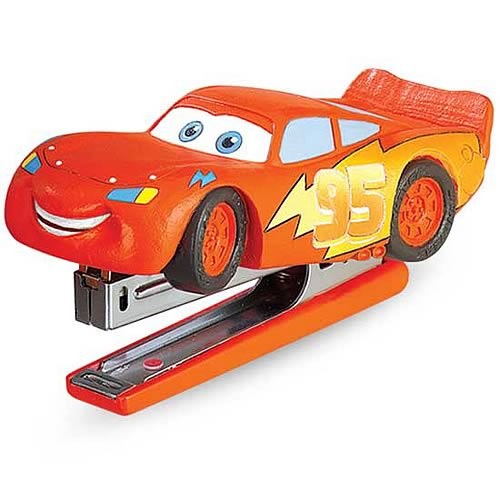 Add some magic to your desk or office with this Disney Pixar Cars Lightning McQueen Stapler! This fun and detailed desk accessory is crafted from high-quality resin and metal, and features the adventurous Lightning McQueen from Cars. Fully compatible with standard staples. Order yours today!